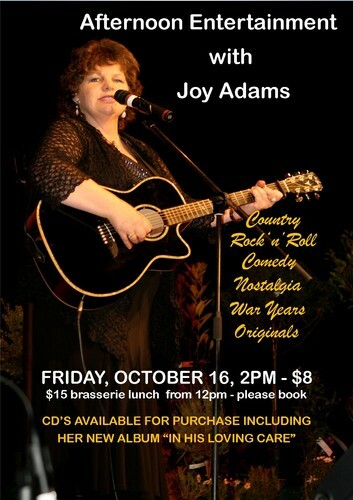 NCMA Female Country Artist of the Year winner Joy Adams is one of New Zealand’s best known country entertainers. Based in Waikato Joy has performed around the world including Nashville - on the Midnite Jamboree as guest of Grand Ole Opry star Ernie Ashworth - Germany, Denmark, Norway and Australia. Blessed with a natural flair for comedy, singing and song writing, Joy’s shows include classic country, originals, comedy and old school rock n roll. Her first album came out in 1992 and featured the NZCMA Best Country Song Come Home Baby Darling. Recently Joy released her 16th album In His Loving Care.